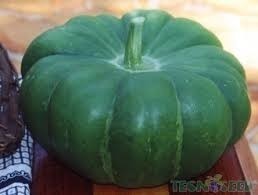 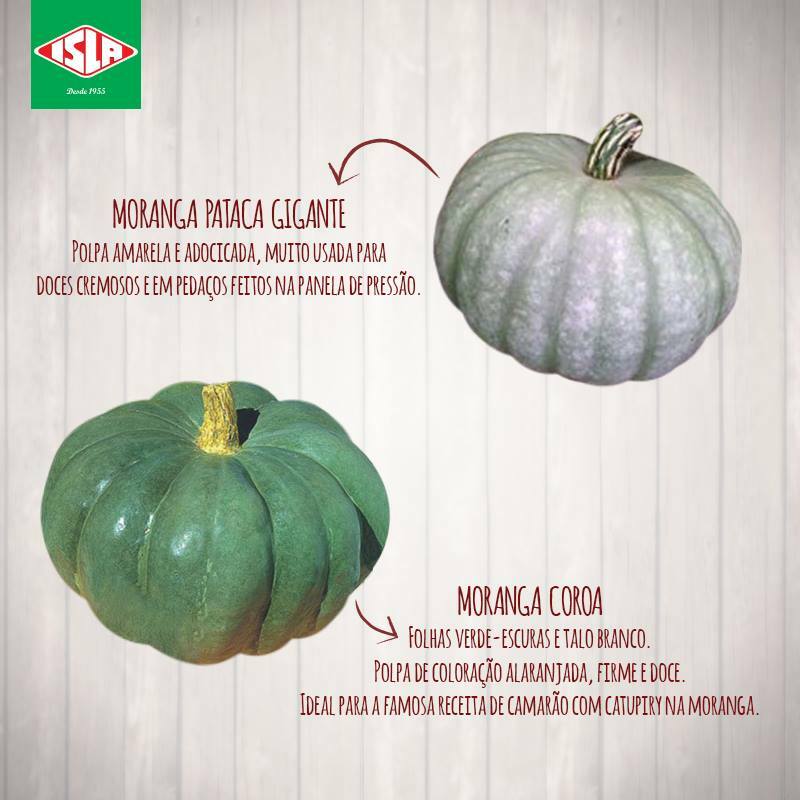 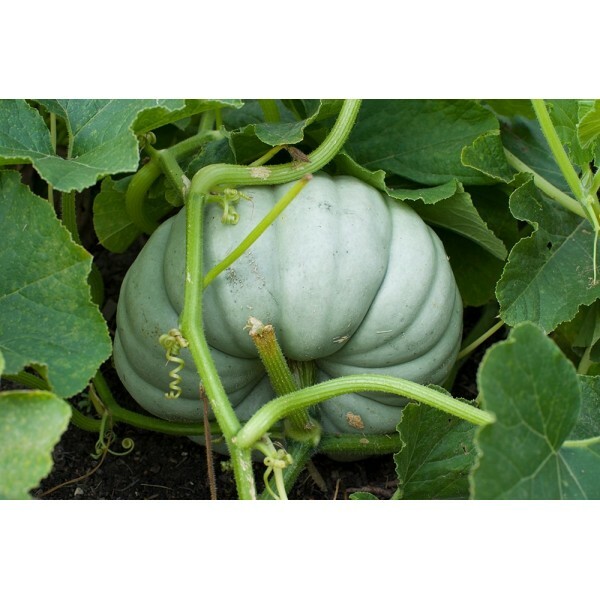 Also called Moranga Giant Patagonian, with Moranga translating to squash in Portuguese. 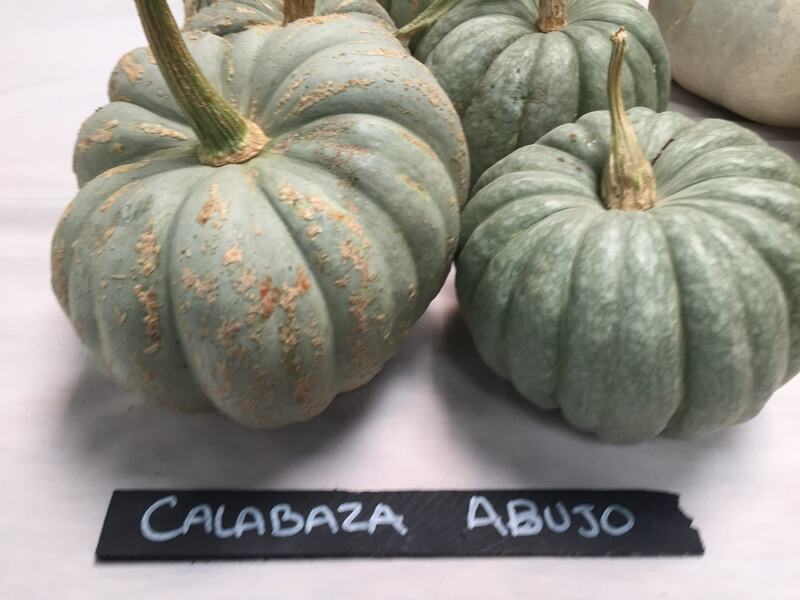 Pataca translates to Patagonian, the name of the southernmost tip of South America, shared by Argentina and Chile, with the Andes Mountains as its dividing line. 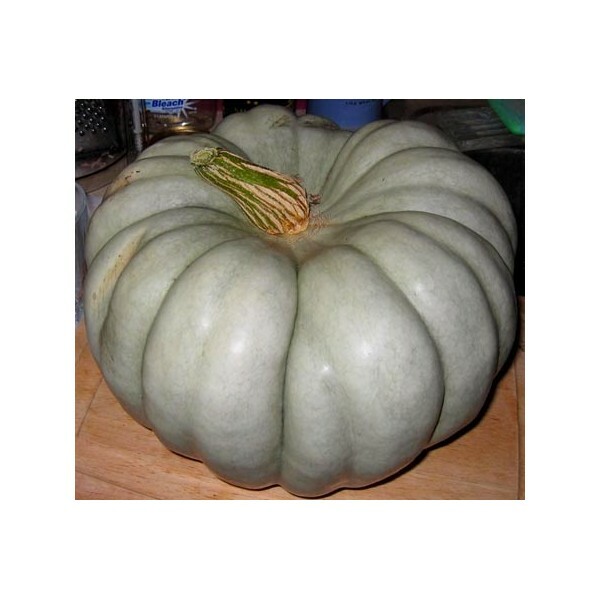 Other names: Moranga Pataca Gigante, or large Patagonian. 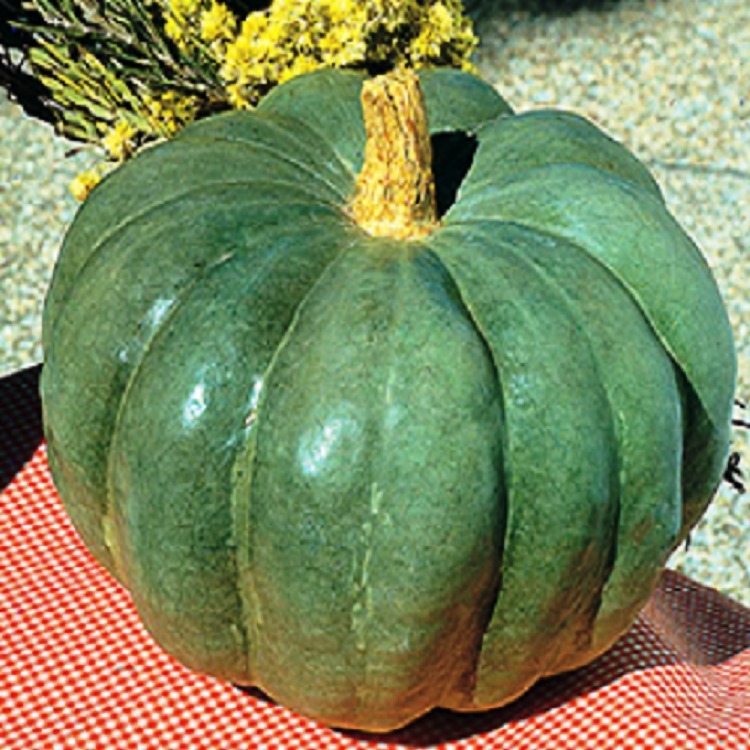 Its fruits are large, with greenish-gray bark and flesh is yellow. 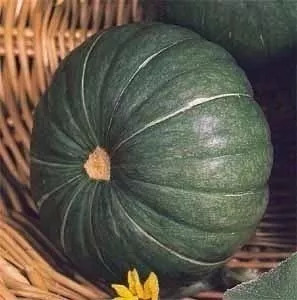 They have a globular shape flattened with buds, reaching from 25 to 35 cm in diameter, from 30 to 40 cm in height and weighing between 10 and 15 kilos. 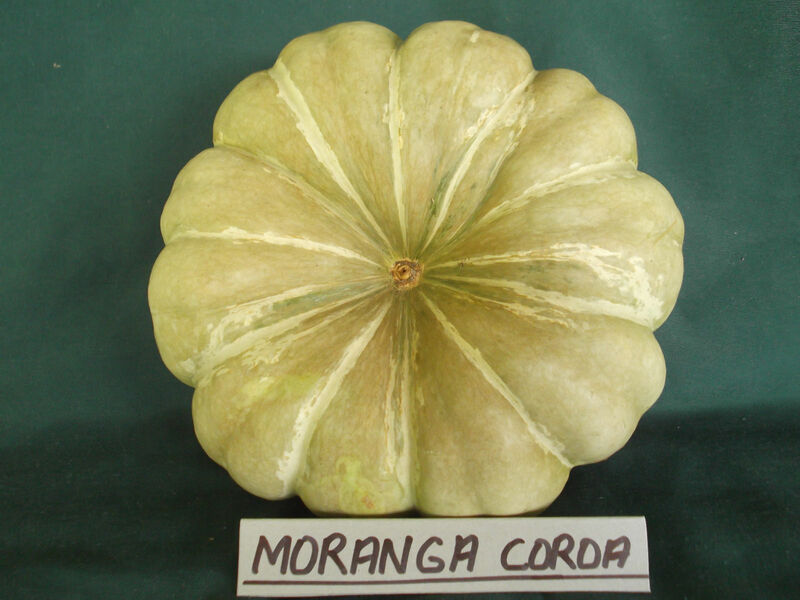 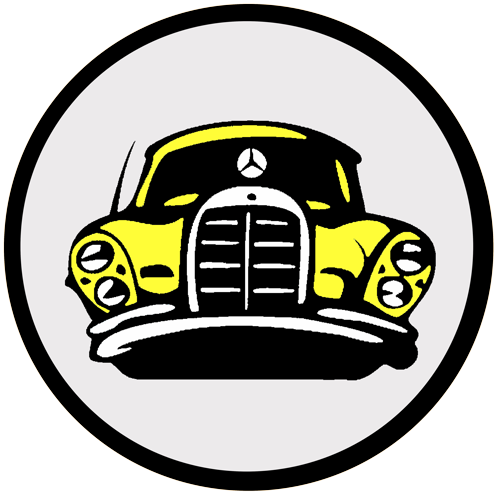 Also means moranga crown. 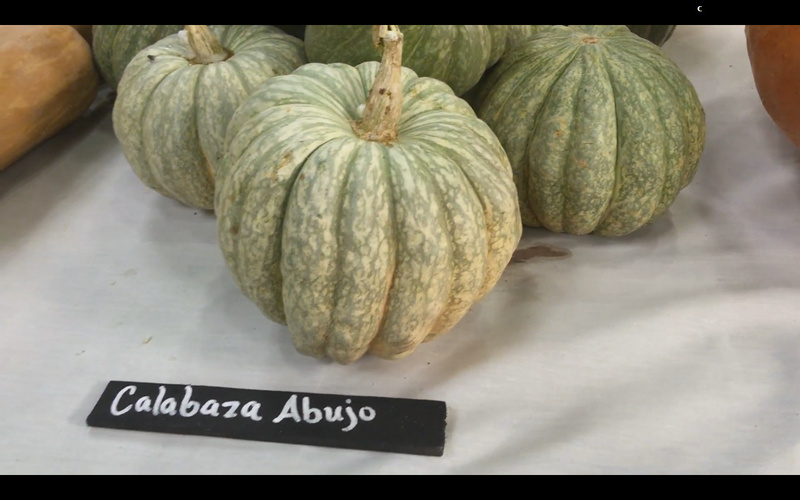 In Brazil widespread. 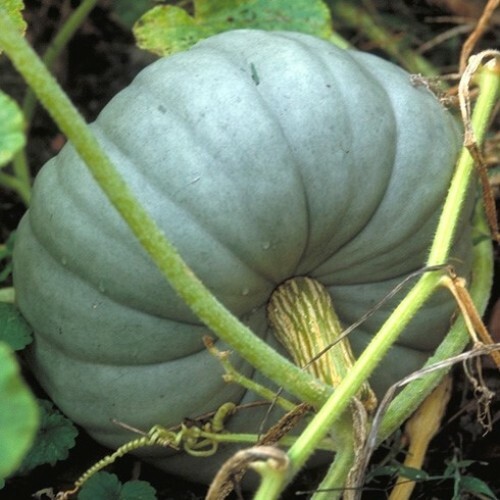 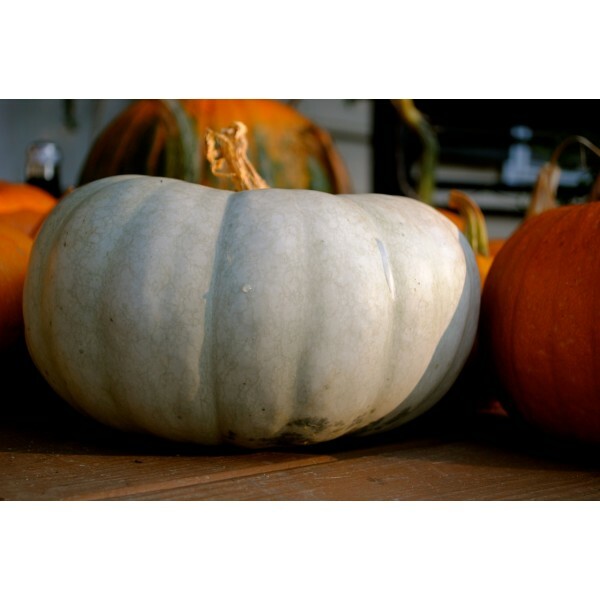 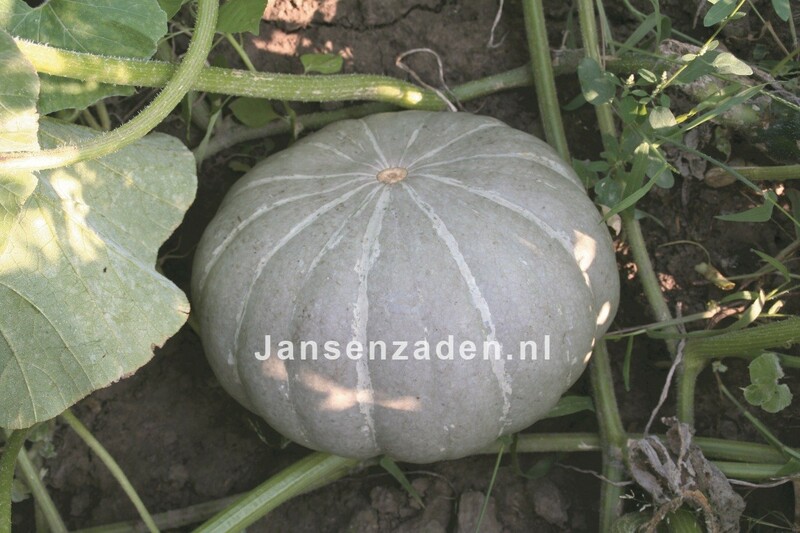 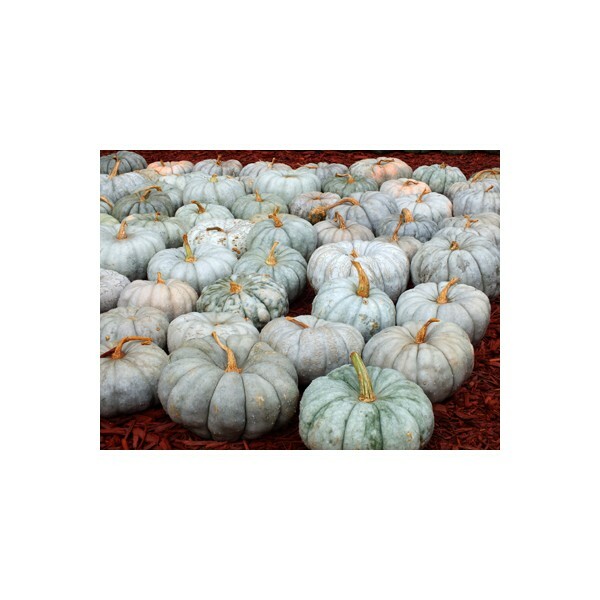 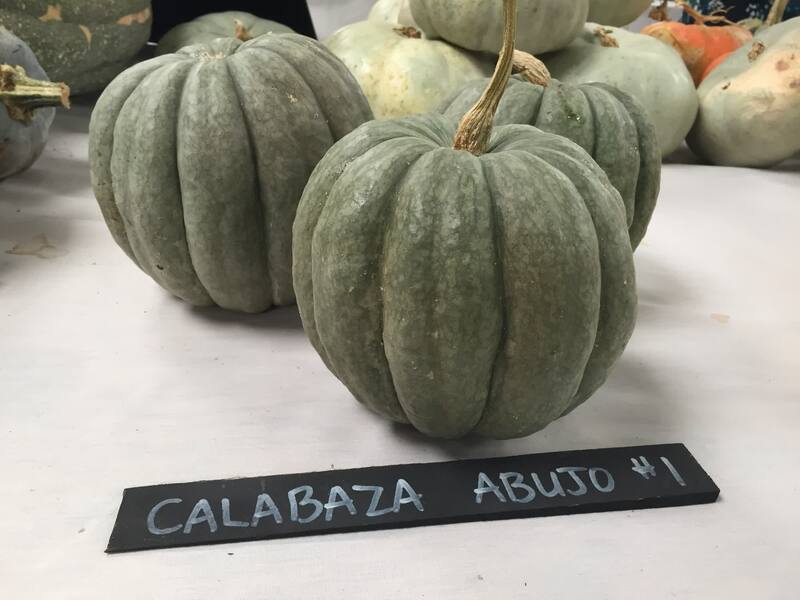 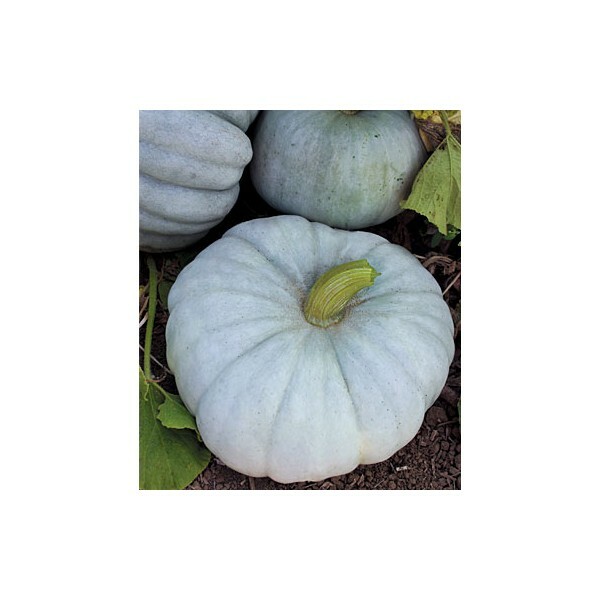 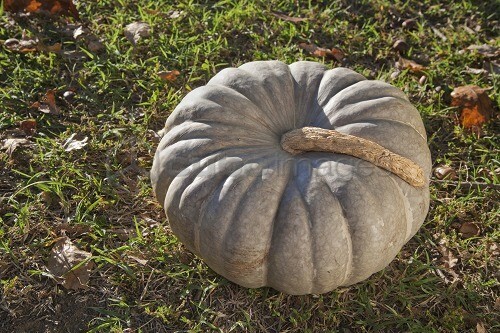 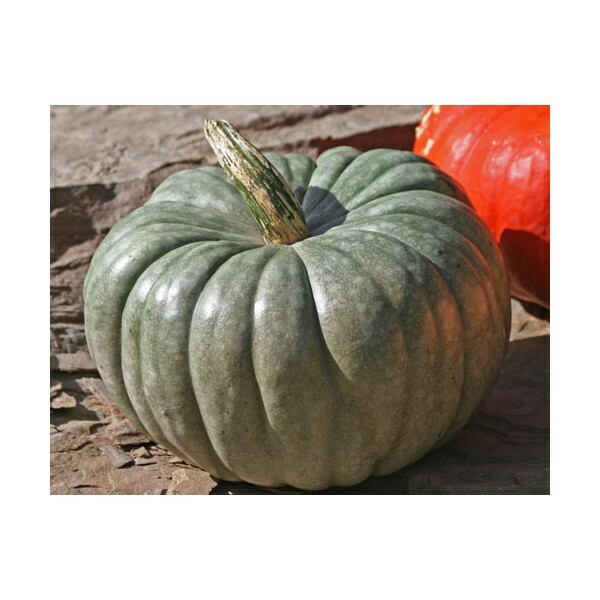 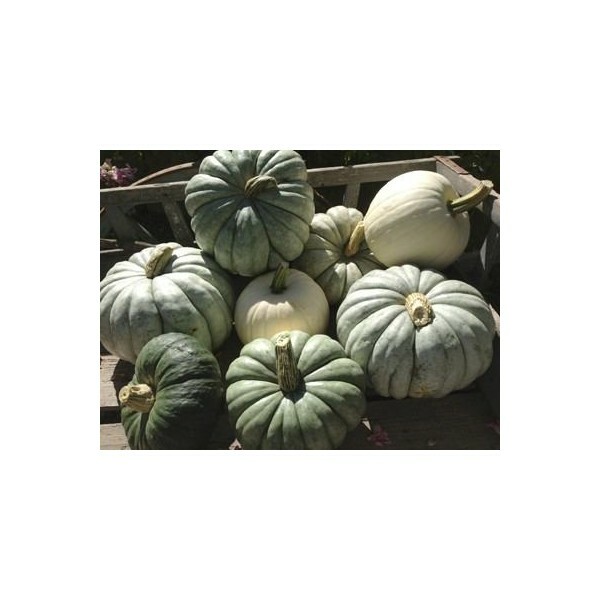 Must been looked at as an exotic variety, it is also not related to any of the other pumpkins. 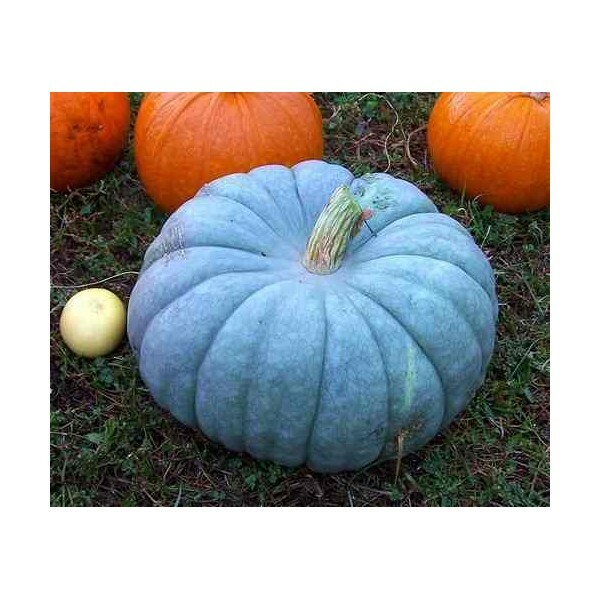 The name means Crown-Pumpkin. 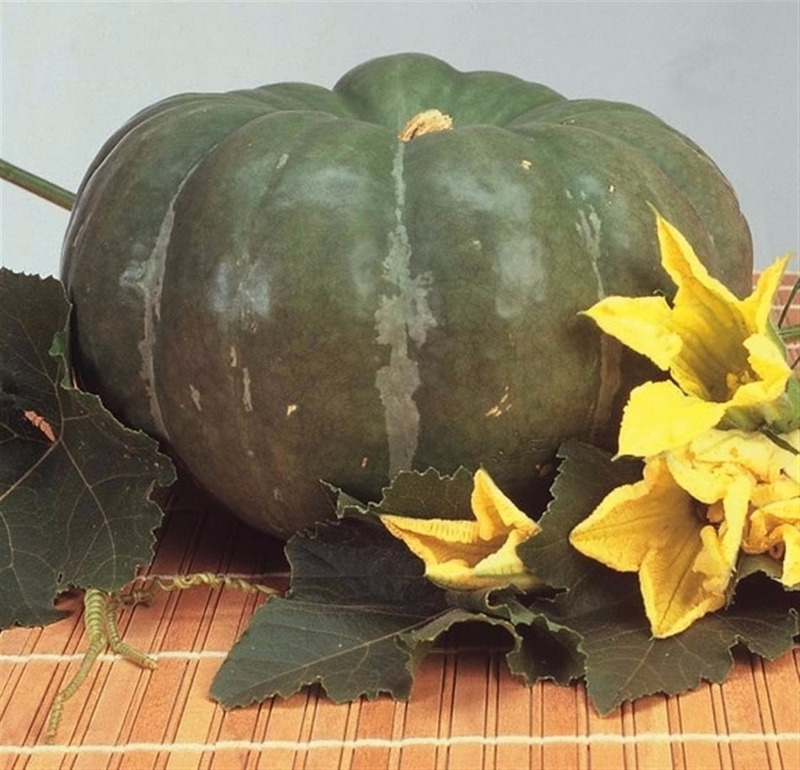 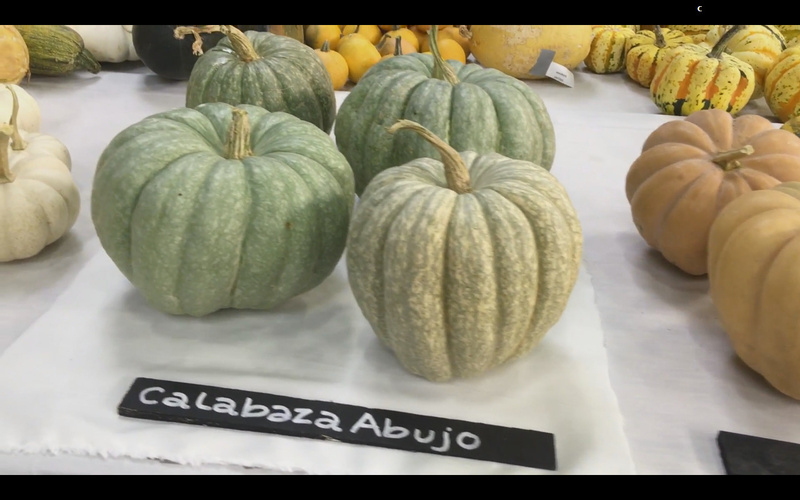 Plant: vine; Fruit: grey-green, round, flattened top and bottom, clearly deepened stembase; Size (DxH): 16 - 20 cm x 10 - 13 cm; Flesh: yellow, thick, fine granulated, dense consistence, sweet, excellent quality, fine pumpkintaste; Weight: 1.5 kg - 3.0 kg. 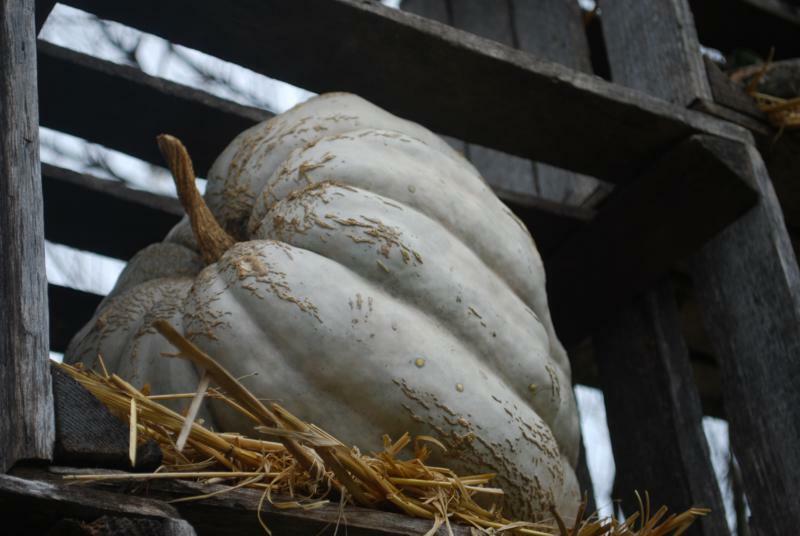 110 days. 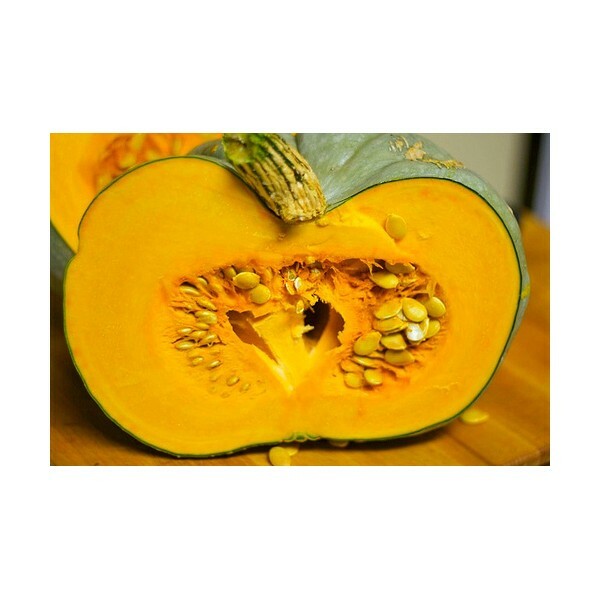 Pataca as in from Patagonia, the southernmost region of South America. 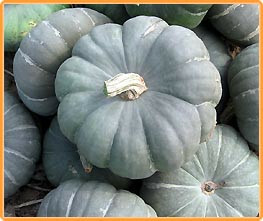 The fruits appear gray, ribbed, round and slightly flat. 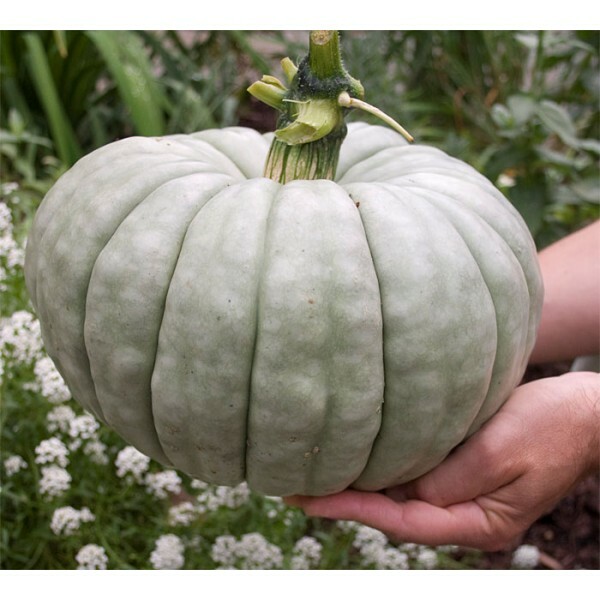 They might vary a little in size and color, but are all about 5-12 kg (11-26.5 lbs). 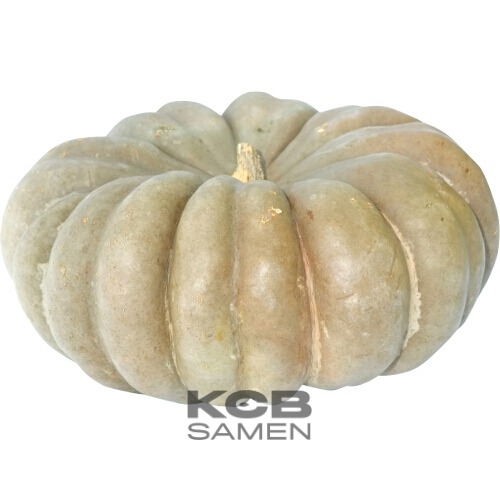 Due to its distinctively ribbed shape it`s popular for decoration purposes. 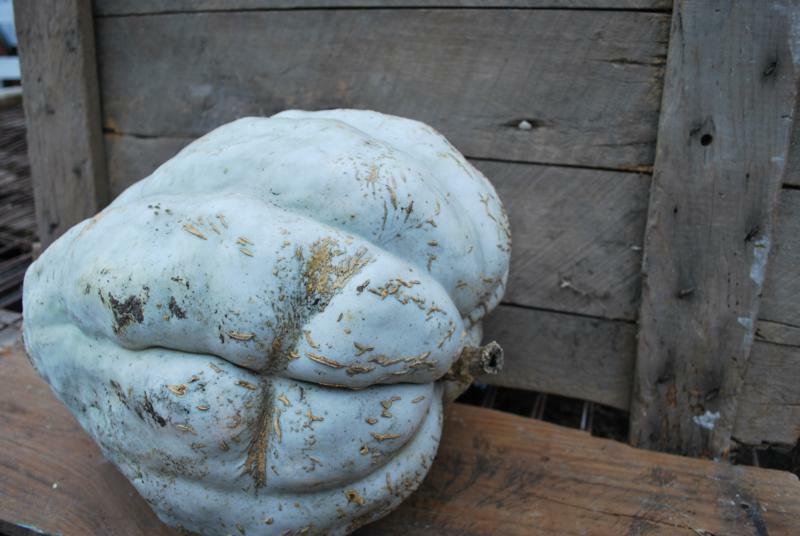 Adding to its optical attractiveness these fruits are delicious.